Like the Cayenne the Panamera is a Porsche with a difference. It’s been on the road since 2010 so there’s a fair chance that you would have come across one in a city car park or along a busy motorway. But what do you know about it? 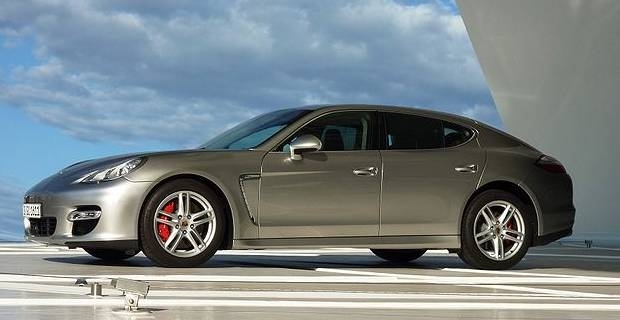 The Porsche Panamera is a front engine five-door luxury car. Like the 911 it can seat four people but until the 911 the passengers can sit in comfort in the back. It’s available with rear or four-wheel drive and is offered as a petrol, diesel and hybrid. Porsche have always done things their own way. They are a slowly evolving company that stay true to their roots but don’t let their heritage hold them back. Whilst the Boxster and 911 hark back to the earliest days of the company, cars like the Cayenne have shown that Porsche shouldn't be pigeonholed as a small German sports car maker. More innovation is to come in 2013. The Macan, a compact crossover SUV, will be launched next year. It will be assembled alongside the Panamera and the Cayenne in the marque’s newly extended Leipzig factory. Executive saloons like the Audi A7, the BMW 7 Series and Mercedes S-Class are alternatives to the Panamera, but can’t compare to its handling. The Panamera also rivals luxury car like the Maserati Quattroporte and the Aston Martin Rapide. They are closer in terms of handling but don’t deliver the performance. The top spec Panamera takes just 3.8 seconds to reach 60mph. The Quattroporte Sport GT S, which is the fastest model, reaches 60mph in 5.1 seconds. The Rapide is a tenth quicker than the Quattroporte but is still 1.2 seconds slower than the Panamera Turbo S.
Like the 911 Carrera, the Panamera derives its name from the Carrera Panamericana race. It also shares some of its illustrious stable mate’s looks, but it’s designed for a different purpose and a different segment of the market. With a mid-life facelift in the offing next year and steady sales it looks like the zero compromise Porsche will be gracing our roads for many years to come.